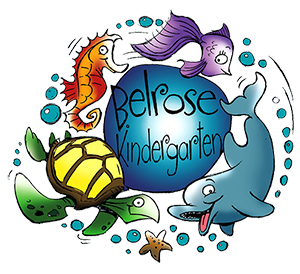 Belrose Kindergarten’s school readiness program provides children with the tools they need to be well prepared for school and ultimately a happy and successful life. Each child is helped to establish solid foundations for learning so they can reach their full potential. By the time children are five, the aim is to have them socially and emotionally competent so they can deal with the challenges that lie ahead at school. At the Centre, children will develop a true regard for learning and the desire to understand more about their world as well as how and why things happen. This usually leads to a developing interest in the written language, in particular, recognising and labeling familiar signs including their name. However this is just one part of the big picture.